The Yavapai Reentry Project was established in 2011 to focus on a key population in the community whose needs were not being fulfilled— those exiting the department of corrections. In an effort to reduce recidivism, improve individual lives, and promote a safer community for all members of Yavapai County, a group of non-profit organizations, government offices, and motivated community members came together to form the Yavapai Reentry Project. 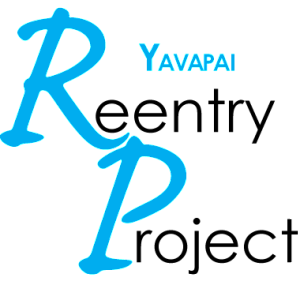 Why does the Yavapai Reentry Project exist? Yavapai Reentry Project is a regional support system which promotes successful reintegration of formerly incarcerated individuals in a way that improves community safety by reducing criminal behavior. All formerly incarcerated individuals returning to Yavapai County will have opportunities for community support, healthy relationships, and hope for their future. Learn about Roadblocks people who have felonies face in Arizona here. Are you a care-giver of a child with incarcerated parents, check out these tips from Sesame Street. Learn about the ripple effect incarceration has on children, families, friends, and communities here. Learn about the state of recidivism in a 2005 Arizona Department of Corrections report here.